Of Frogs and Teachers | Peter M. Schloss | J.D. - Mediator. 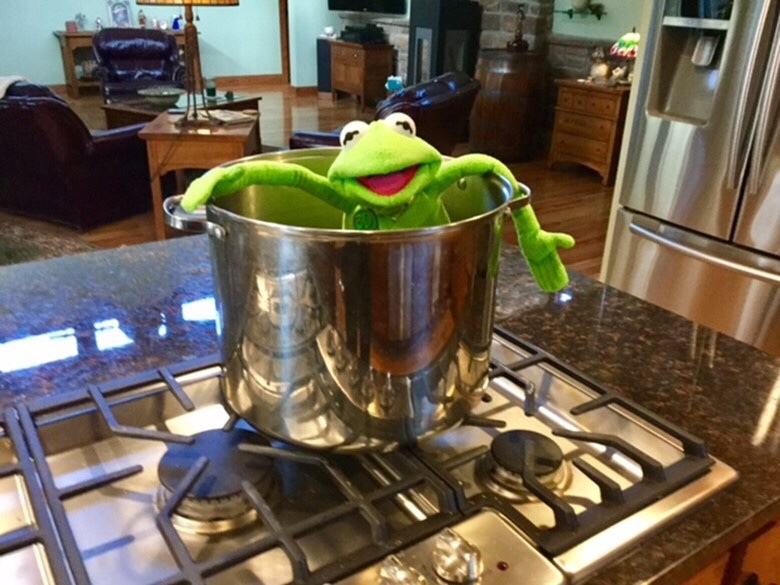 Years ago, I read that if a frog is cast into a pan of boiling water it will immediately react to save itself and jump out of the pan. However, if the frog is placed in a pan of cool water and the temperature of the water is gradually increased, the frog will remain in place oblivious to the fact that it is being cooked. I have accepted this account on faith but I still wonder if it has ever been experimentally proven. I would never consider torturing some poor frog to satisfy my curiosity, however recent events have brought me to the realization that the sacrifice of a frog is unnecessary since I have the example of a teacher, my father. My dad was not a financial wizard, he was a teacher. Teachers in the 1960’s, along with firefighters, police officers, factory workers, truck drivers, and a myriad of other professions, were the pillars of middle class America. The real strength of the “American Dream” was not in the strength of our military or the wealth of the “top 1%”, but in what average workers could accomplish for themselves and their families. Had something suddenly occurred in our society to deprive these workers of their ability to provide for their families in the manner that I have described then there would have been a declaration of a national emergency to address the crisis. In other words, the frog would have immediately reacted and leapt from the pan of boiling water. Unfortunately, the America of my youth was bathed in a pan of cool water. The temperature of the water has gradually risen over the last 50 years to the point that the middle class of America it is being cooked out of existence. You’re right, as usual. Thanks for the post.